Jason O Mahony » Blog Archive » Could Trump happen here? I’ve always been a science fiction fan. Not one of those “a thousand years in the future” types, but more of the shape of things to come in twenty or thirty years. 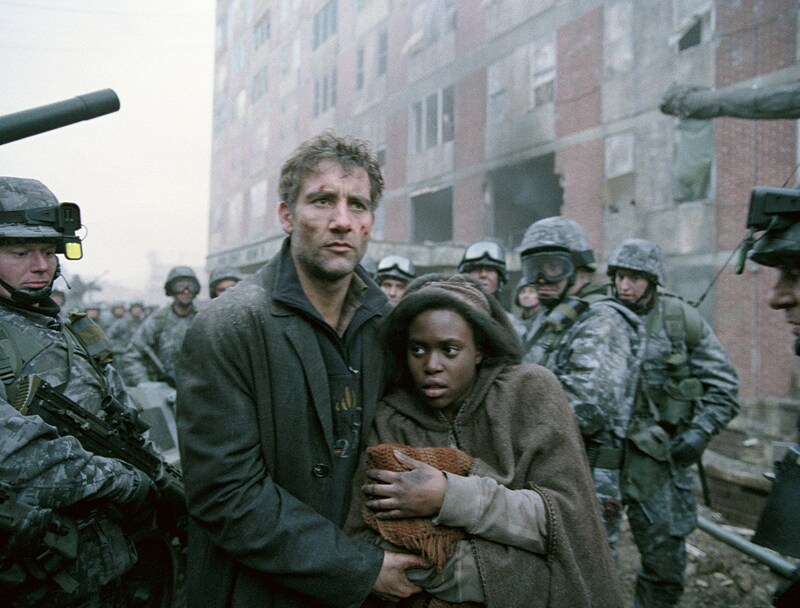 As a result, I was always fascinated by dystopian movies like “The Children of Men” or “Escape from New York”, both of which take place, respectively, in a still recognizable Britain or US not too far in the future. In “Escape from New York”, the United States is ruled by a far-right president wreaking violence upon those who do not conform to his definition of traditional American (read Christian) values. The same applies to Margaret Atwood’s “The Handmaid’s Tale”, where the American establishment is toppled by misogynistic white male extremists who believe women should be second class citizens. It was the question of how we got from here to there which intrigued me. This week, the voters of the United States will answer that question. How the richest, most progressive, most powerful nation in human history totters on the brink of very possibly sweeping that all away by electing a North American Peron. Never will the phrase “We’re ready to call Florida” induce so much stomach tightening terror as it will on Tuesday night. Here in Ireland we can do very little about it. It’s America’s world, and we have to live in it, because the alternative is China’s world or Russia’s Europe. Funnily enough, it occurred to me during the week that the US could have made a fortune if it did let, for a handsome fee, foreigners elect two or three members of the electoral college, because we seem to appreciate how much more important it is than at least one in four Americans who won’t bother to vote. I suspect the whole adult population of Estonia would turn out to vote if they could. There’s nothing we can do but learn our lessons. Trump is just the latest manifestation of a destructive hateful force sweeping across the world, from Farage to Putin to Le Pen to Geert Wilders. Hate is in. Just look at the UK this week, where UK judges who ruled that parliament is sovereign were demonised by newspapers that had only campaigned on that very subject back in June. Foreigners in the UK are keeping their heads, and voices down, for fear of attack. It’s not that racism has suddenly exploded in the UK after the Brexit vote any more than it has in the US or elsewhere, it’s that it has become socially more acceptable. The racists now believe that they speak for the silent majority, which is pretty much the line the Trumpistas take too. As for Ireland? Could we see a rise in demagoguery? We certainly have no shortage of populists, but it is striking, indeed curious, that the race card has never really taken root here. There have been attempts to suggest that the citizenship referendum was some sort of indicator, but even the alphabet left don’t buy that. Know how I know? There’s no Repeal the Citizenship Amendment movement from them or anyone else. It’s not that we don’t have racists in our society, but they seem to be trapped on the crazy fringe, always two sentences away from talking about bloodlines and “protecting our culture”. The sort of people who say “I’m completely against racism…against white people!” and think it’s a real rabbit out of the hat moment. The scary thing about the race issue is that once it takes hold in a society, it’s impervious to facts. UKIP voters nearly always overestimate what percentage of the UK population is Muslim, non-white, or not born in the UK. But as Trump has proven, facts don’t matter to those voters. A clear barrier to an Irish Trump would be the fact that Irish politics is personality centric. Who could be our Trump anyway? The only politician of recent years who had the sort of popular appeal of Donald Trump was Bertie, and he never showed any desire, to his credit, to divide people. But supposing an Evil Bertie did come along, a man of the people who whipped up fear about Muslims and black faces and “we need to look after our own people first” and all the rest. Who played the same well tested card about who is getting all the housing? Who is being let into the country? Why aren’t the refugees going to Muslim countries? The other barrier to an Irish Trump is that geography nearly always beats ideology. An Irish Trump could be agreed with one hundred percent on the doors, but they then vote for the other guy because he “got the 46A stop moved for me granny”. An Irish Trump would need to be a clear communicator, but not too polished. Ideally from a rural background, with a bit of GAA in their history but comfortable at a soccer match. Not an ideologue, because that’s where they always fail, thinking that being anti-immigrant means they have to be anti-gay and pro-life too. The assassinated Dutch politician Pym Fortuyn figured that one out years ago, recognising that voters aren’t ideologically strait-jacketed but like their views a la carte. We think we wouldn’t be foolish enough to vote for an Irish Trump. But people forget: before Hitler there was no Hitler to warn us. As the line goes: the greatest trick the Devil ever pulled was convincing the world he didn’t exist.